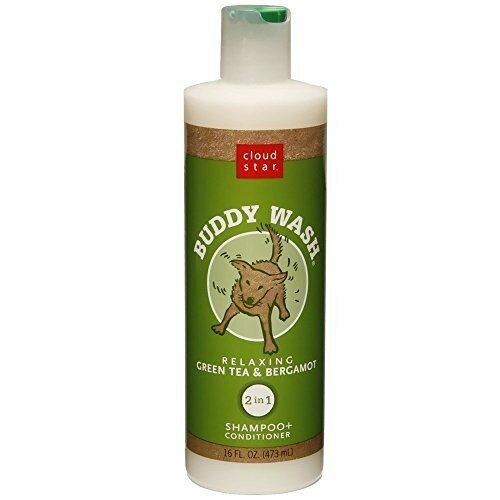 Save 1% on the Cloud Star Buddy Wash Dog Shampoo and Conditioner, Relaxing Green Tea and Bergamot 16oz (2 Pack) by Cloud Star at Annie's Dog Spa. MPN: Clo-0625. Hurry! Limited time offer. Offer valid only while supplies last. Deodorize, moisturize and rejuvenate your pet's coat with Buddy Wash Shampoo made with pure, all natural ingredients and botanical extracts.